There is nothing more rewarding than knowing how Core Stix is changing the lives of older adults looking to stay fit and build functional strength they use to stay healthy and independent. While Core Stix was originally envisioned to provide a cutting edge workout for professional athletes, the active aging community quickly adopted the system because it allows seniors to work on their core strength while stand up, safely and effectively. Core strength is used in every day tasks, whether dancing or playing tennis – or even standing up from a chair or gardening. The system is completely scalable for all ability levels and comes with a variety of stix with different resistances. There are so many ways to use Core Stix that it doesn’t matter if you are currently in a wheelchair or currently in the best shape of your life. 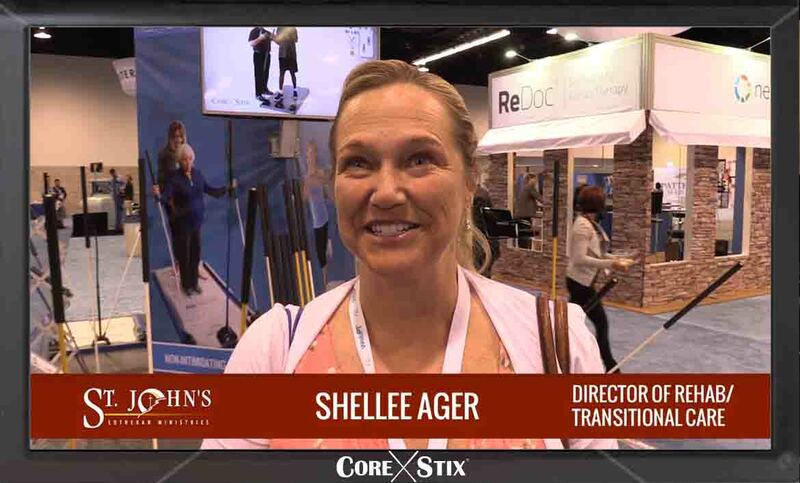 Trainers who work specifically with the active aging community appreciate that Core Stix provides a point of stability for users and that it is easy on the joints. It is also exciting and engaging with hundreds of movements and exercises to choose from. Best of all, the system helps people develop strength they actually use in their every day life, fostering independence and a sense of achievement that inspires life lived to its fullest.